Daytona Beach is an ideal destination for thrill seekers as well as beach lovers, as this beloved Florida town boasts an abundance of activities and entertainment. 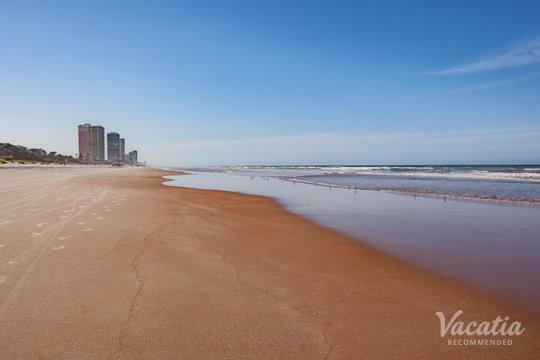 Families flock to Daytona Beach every year for fun-filled vacations, and you could experience the excitement and the energy of Daytona Beach when you work with Vacatia to find affordable accommodations in this popular resort town. 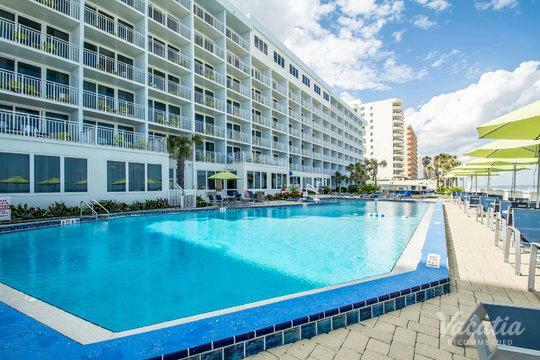 You don't have to break the bank when planning a quality family vacation, because Vacatia can help you book your stay at one of the best affordable family resorts in Daytona Beach. Vacatia strives to find high-quality vacation rentals for travelers in some of the world's best destinations, such as the sun-soaked shores of Daytona Beach. From its world-famous international speedway to its beautiful stretch of beach, Daytona is a destination that will excite everyone. 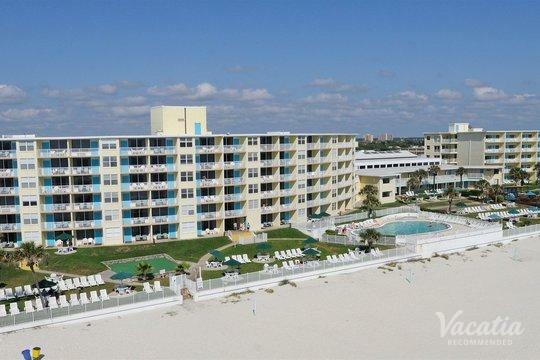 So let Vacatia help you sift through the vast selection of cheap resorts in Daytona Beach until you find a comfortable, spacious rental for your upcoming Florida getaway. The perennial sunshine of Daytona Beach makes it a popular vacation destination all year-round, and visitors flock to Daytona to experience the excitement of its vibrant auto racing scene as well as its stunning beaches. When you begin planning your trip to this Florida coastal town, you might notice that there's a large selection of affordable resorts in Daytona Beach. Rather than get overwhelmed by this selection, you should work with Vacatia to sift through this sea of resorts so that you can book your stay at a vacation rental that perfectly meets your family's needs. Vacatia's resort residences provide ample living space, which is ideal for a family getaway. Vacatia rental properties offer the space and comforts of a home, including a fully equipped kitchen, as well as the services of a resort. So if you want to find a spacious, comfortable vacation rental that your entire family will love, look no further than Vacatia. Once you have booked your stay at one of the top affordable resort hotels in Daytona, you can start planning your itinerary for your fun Florida vacation. Daytona Beach is primarily known for two things: its world-famous Daytona International Speedway and its gorgeous beach. However, there's much more to see and explore in Daytona than its beach or its auto-racing scene, as this city is home to great museums, incredible historic attractions, and even amusement parks. With so much to do and see, Daytona Beach has become a popular destination for families, as there's never a dull moment in this Florida hotspot. Whether you want to experience the excitement of the Daytona International Speedway or you want to partake in water activities like fishing or surfing, Daytona is sure to leave you with lasting memories. 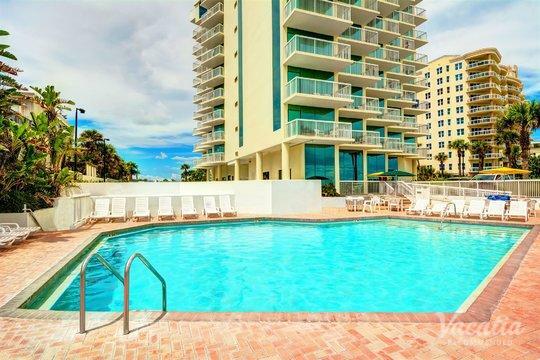 If you want to make the most of your time in Daytona Beach, you should rely on Vacatia to help you book your stay at one of the best affordable resorts in this Florida paradise.